Hope’s Exit – Designated Movement Co.
Hope’s Exit, originally commissioned by Target Margin for its 2016 Lab, began with a contemporary exploration of Eugene O’Neill’s classic play ICEMAN COMETH which tells the story of fourteen sad-sack patrons of a New York City bar await the arrival of salesman and drinking buddy Hickey. 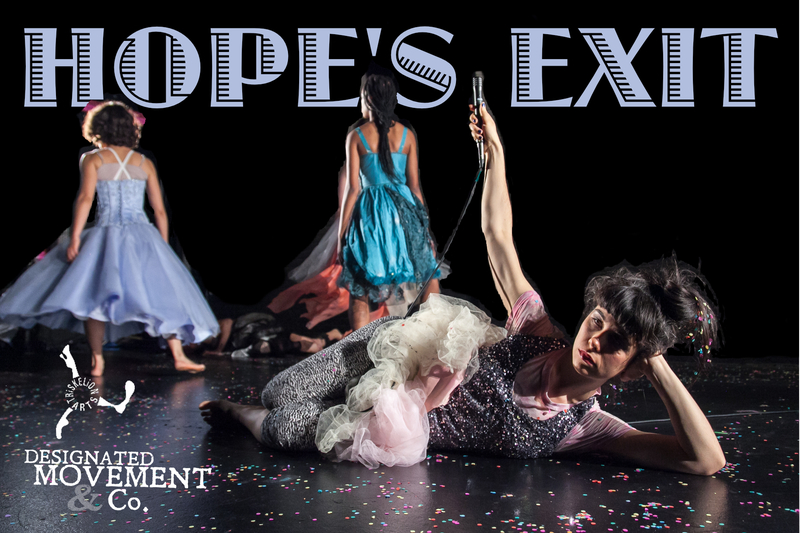 In this highly choreographed deconstruction of Act III of Eugene O’Neill’s The Iceman Cometh, Designated Movement Company’s anesthetized hallucination juxtaposes internalized psychodrama with externalized contemporary femininity. What does it mean to come together only to collectively fall apart? Featuring Emily Craver, Emily Pacilio, Victoria Roberts-Wierzbowski, Mary Kate Sickel, and Kaitlyn Gilliland. © 2019, Designated Movement Co.